All About STEM are proud to be supporting the Year of Engineering 2018! This month the theme is ‘Back to School’ so we’ve put together a list of projects from CREST for you. They are perfect for engineering sessions. CREST is a scheme that inspires young people to think and behave like scientists and engineers. There are many ways to run CREST with your students. CREST offer their own fantastic resources aimed at 5-19 year olds along with a comprehensive list of partner resources. The Year of Engineering is a government campaign which celebrates the world and wonder of engineering. Working in engineering is exciting, rewarding and creative. We need the next generation of innovators and problem solvers to join the industry and help shape the future of the world we live in. Over the course of the year, you have the chance to take a closer look at engineering and the variety of opportunities on offer. Get to know one of the UK’s most innovative industries with open days, talks and activities happening across the country. 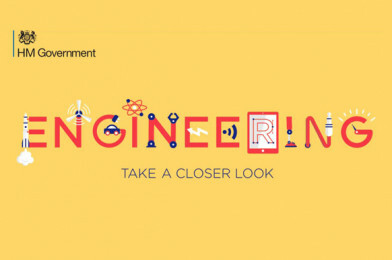 If you want to know more about engineering, or see what’s happening near you, visit www.yearofengineering.gov.uk or search #YoE on Twitter.